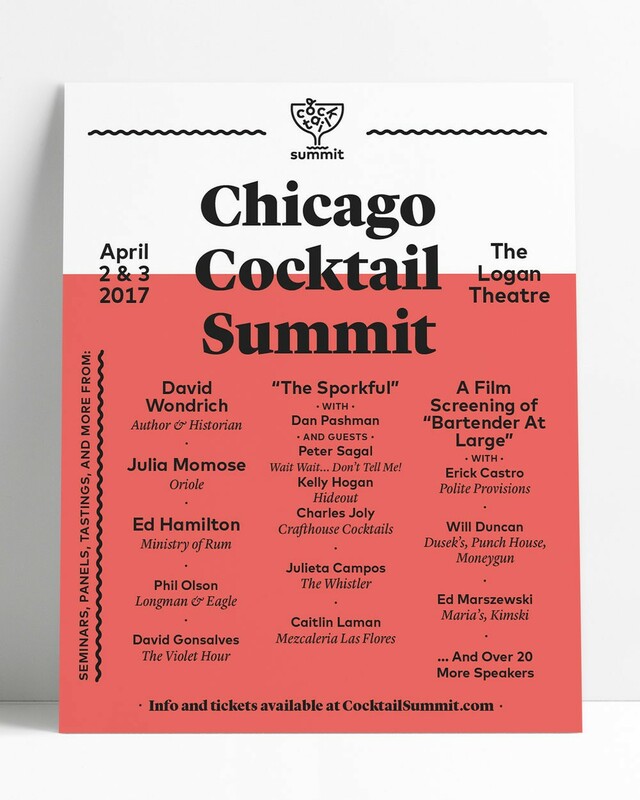 On April 2 and 3, the second Chicago Cocktail Summit returns to the Logan Theatre for two full days of seminars, panel discussions, and interactive workshops with local bartenders and a few guests from out of town, most notably author and historian David Wondrich. The first day is aimed at "consumers and home enthusiasts," the second at industry professionals, though both are open to anyone who wants to pony up the $50 per day or $15 per session. The Whistler's Billy Helmkamp, who founded the event with event producer Erik Westra, recently talked with the Reader about the goings-on at this year's summit, including seminars on beer cocktails and how to run a beverage program. What originally made you want to start the Chicago Cocktail Summit? It's something I've been talking about with friends in the industry for years. The consensus was always that it sounded like a great idea, but when it came time to actually make it happen, that's where things generally came to a stop. An event like this has a lot of moving parts. But a friend of mine [Erik Westra] is an event producer. Once he and I got to talking, we realized that if we joined forces we could make this happen. How did you come up with the lineup for the first summit, and did you change anything this year? What we wanted to do is reach out to people from all these bars across town, figuring out, what are they known for, what's their niche? Last year Danny Shapiro [of Scofflaw] did something on gin. Charlie Schott from Parson's did a real hands-on workshop on how to work with slushy machines. That was on our industry day. We also brought in a handful of people from out of town: Paul Clarke, Robert Simonson, Camper English. We're taking the same approach this year. We don't want to repeat programming from one year to the next, so we have a handful of people making a return but covering different topics. Will Duncan [of Punch House, Dusek's, the Promontory, Moneygun] is coming back. Last year he did a workshop on force carbonation and kegged cocktails. This year on the industry day he's doing one focusing on beer cocktails. Danny Shapiro, instead of leading his own seminar, he's going to sit on a panel that explores the ins and outs of running a beverage program. We're staying at the same venue, which is very nontraditional for an event like this. We felt there was a certain charm that [being in a historic movie theater] lends the event. We're not trying to be like Tales of the Cocktail or any of those big cocktail weeks. The ticket prices dropped dramatically for this year's event (from $125 to $50 per day). What was the reasoning behind that? Last year our approach was looking at the ticketing structure and pricing for other cocktail events we've attended and basically offering tickets for half of that. This year we wanted to take it a step further. Our main concern is making this something that people can attend. Is there a tasting element to the presentations? We include a sample-size tasting component in each seminar, really as a means of illustrating a point that's being made. A good example of that is David Wondrich's seminar "Chicago Cocktails and Bars of Old." There's a little-known drink called the Cohasset Punch that was unique to Chicago, and we'll be serving small samples of that drink to attendees. Part of what he wants to do is take you back to that time and place, and the tasting element helps do that. Chicago Cocktail Summit Sun 4/2-Mon 4/3, 10 AM-5 PM, Logan Theatre, 2646 N. Milwaukee, cocktailsummit.com, $50 per day for an all-access pass, $15 for individual sessions. The inaugural event offered two information-packed days of lectures, panels—and plenty of booze.